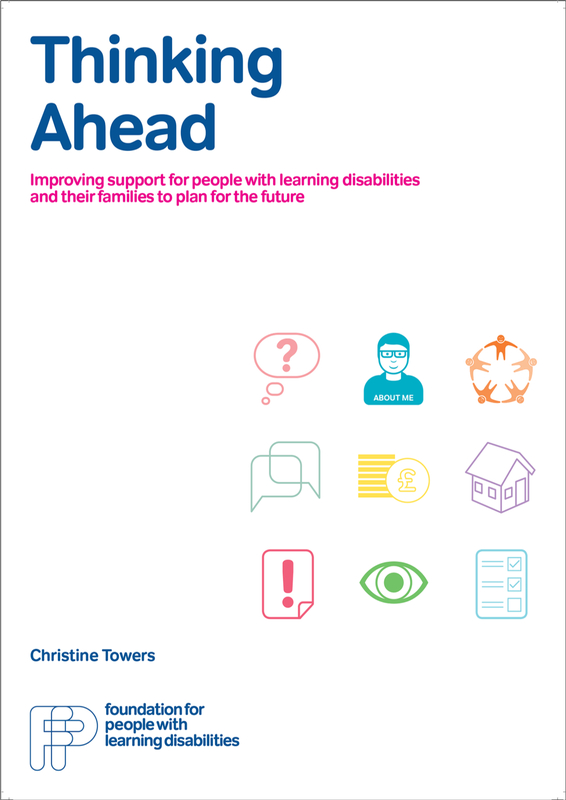 A guide to support families in talking about, and planning for, the future. Download this version to read, save to your computer or print. 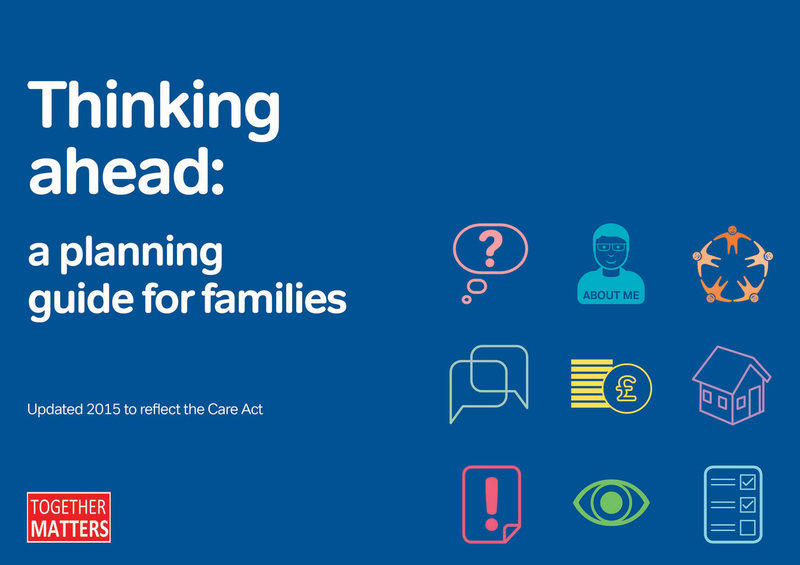 A guide to support families in talking about, and planning for, the future. 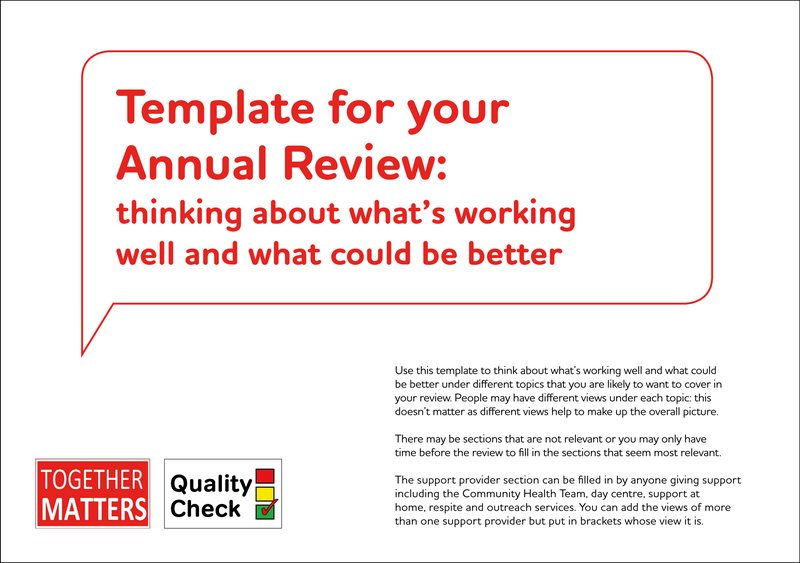 You can download and save this version on your computer, write your ideas in the tables and templates and save for future reference and updating. 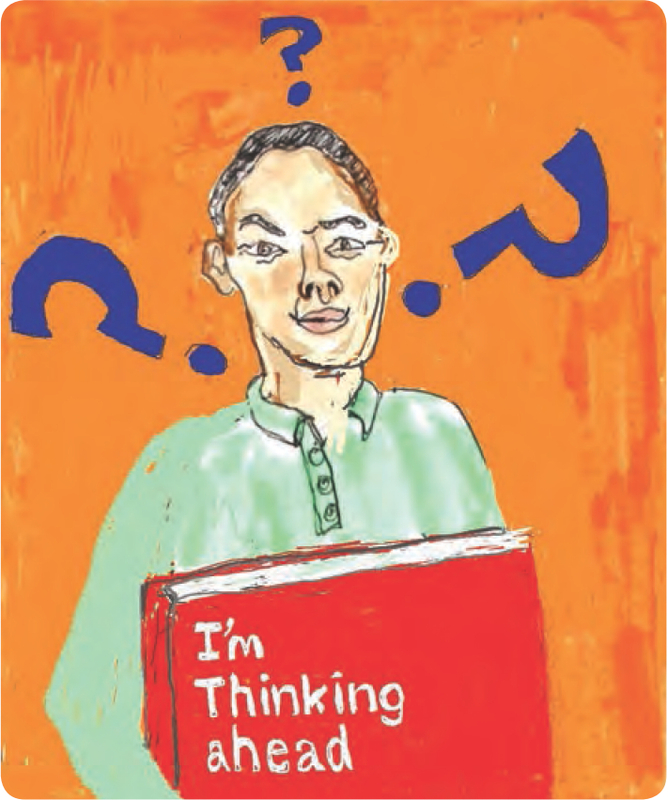 An easy to read book for people with learning disabilities to help to think and talk about plans for the future. Download this version to read, save to your computer or print. 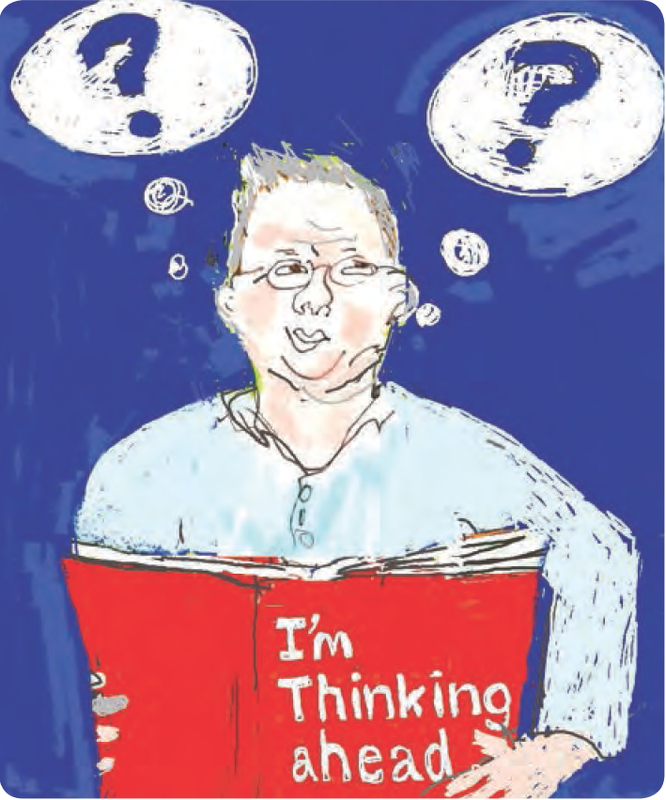 An easy to read book for people with learning disabilities to help to think and talk about plans for the future. 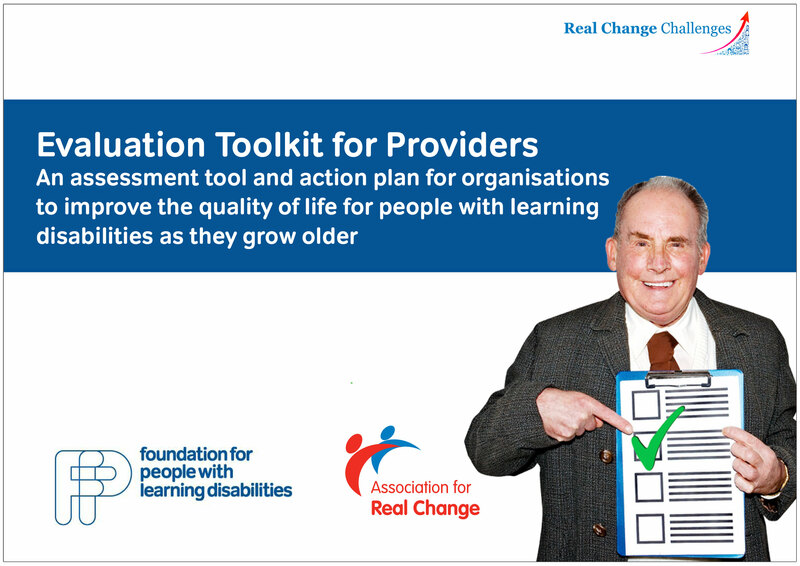 You can download and save this version on your computer, put your thoughts in the tick-boxes and tables and save for future reference and updating. 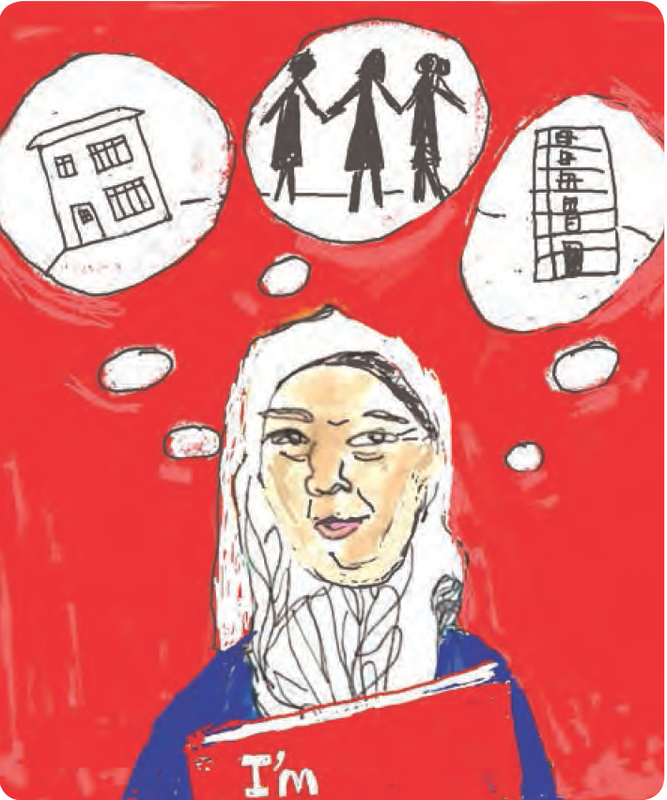 A short report about the research and development work behind the planning guide as well as recommendations to implement good practice in planning the future in your area. Download and save this version, write in text boxes, send to others to add comments. Download this version to read or print and fill in by hand. 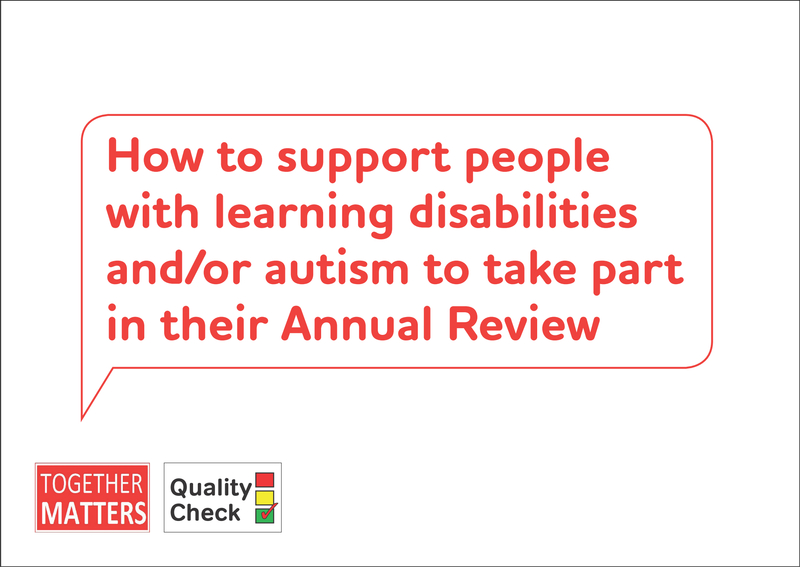 A guide written for family carers and support providers who are helping people to take part in their annual review (and other meetings) with Adult Social Care. 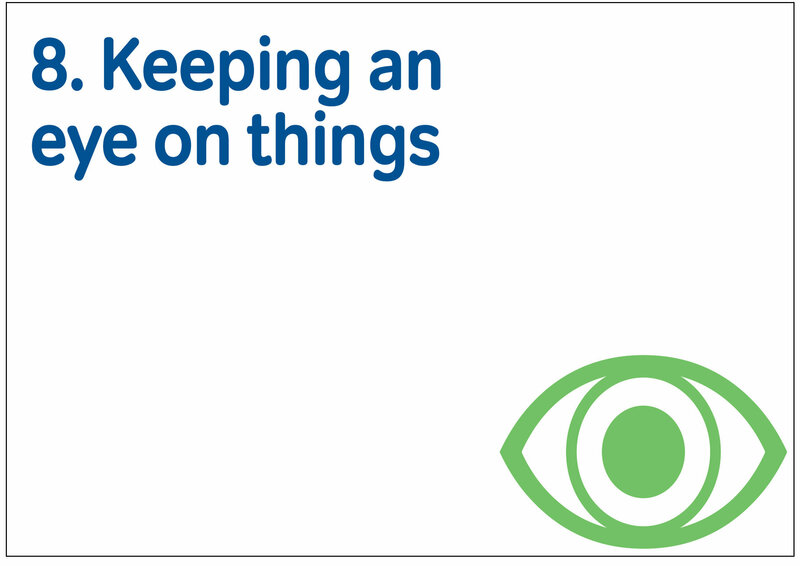 Use it to help people participate, particularly those who find meetings stressful, difficult or boring. 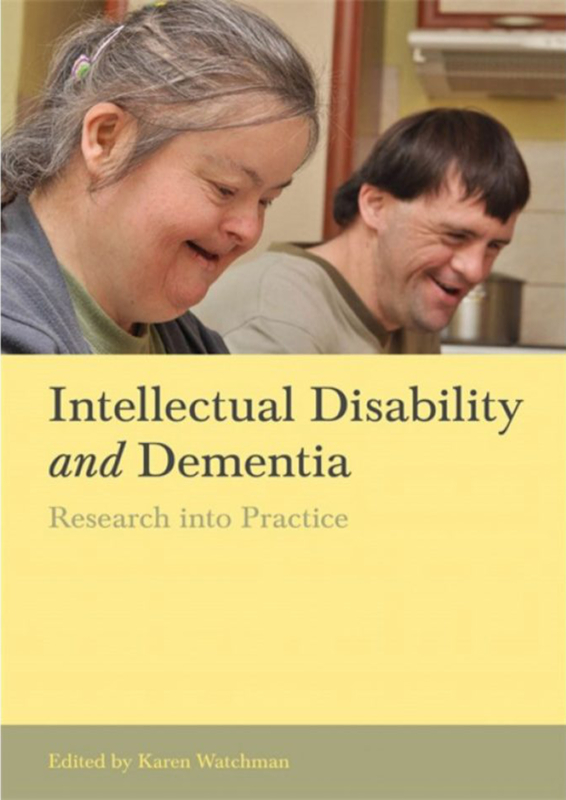 It also includes ideas to help people who do not feel able to go to meetings, to contribute in other ways. 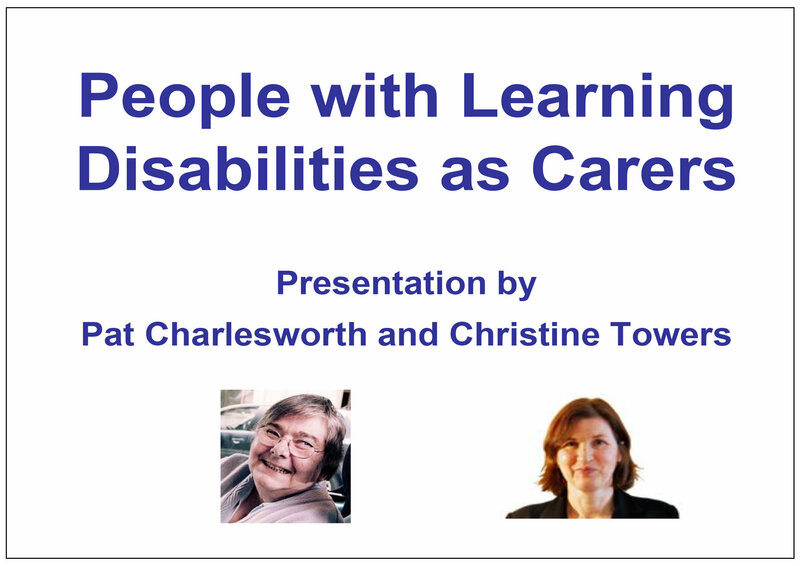 An easy to read presentation about people with learning disabilities having a caring role. 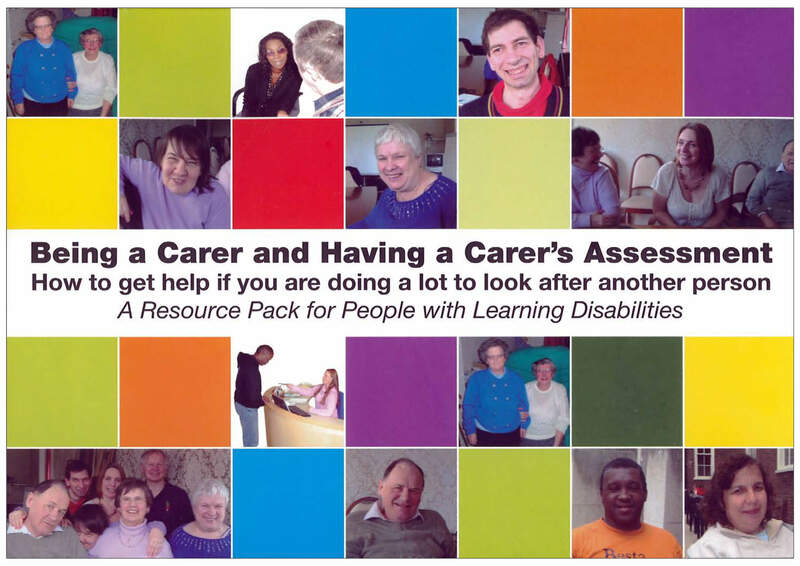 An easy to read resource pack to help people with learning disabilities, who help to look after someone else, to have a carers’ assessment and get the support they need. 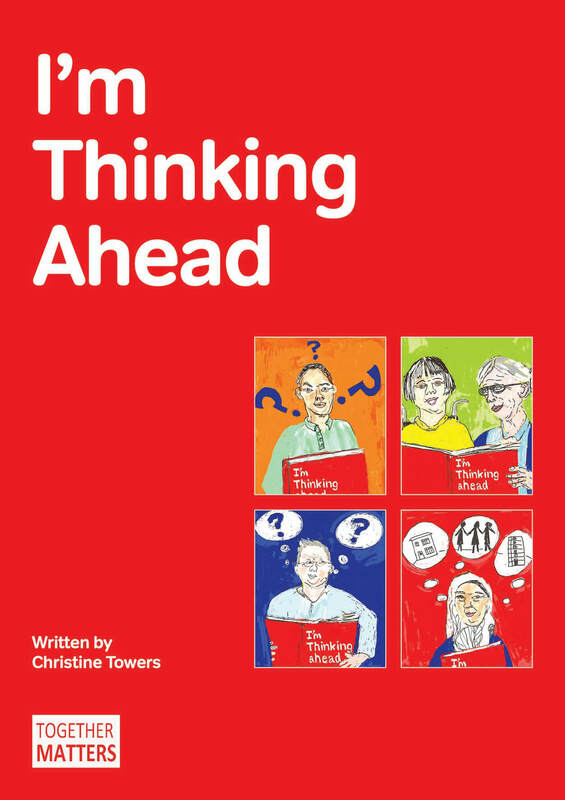 This book chapter, written by Christine Towers and Heather Wilkinson, is based on the ideas in Thinking Ahead for planning the future. 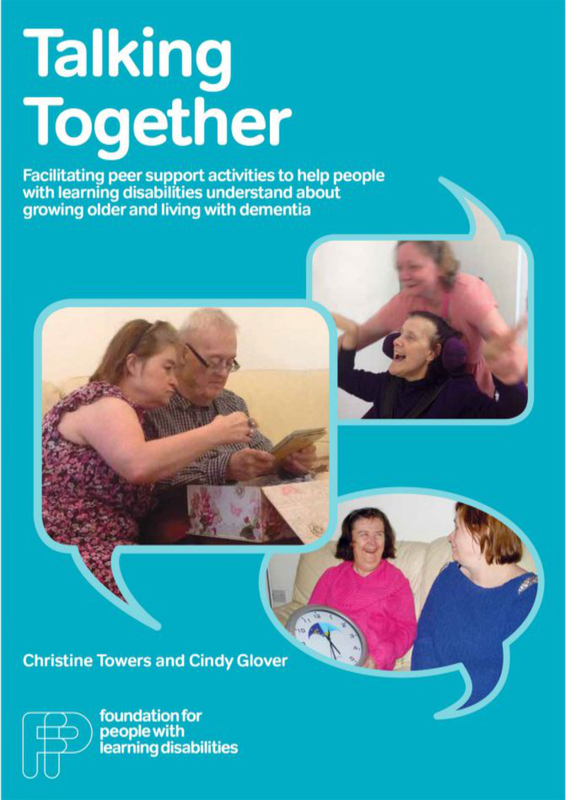 It suggests ways in which practitioners can support families to think about the options, following a diagnosis of dementia, to make sure their relative is supported in a person-centred way. 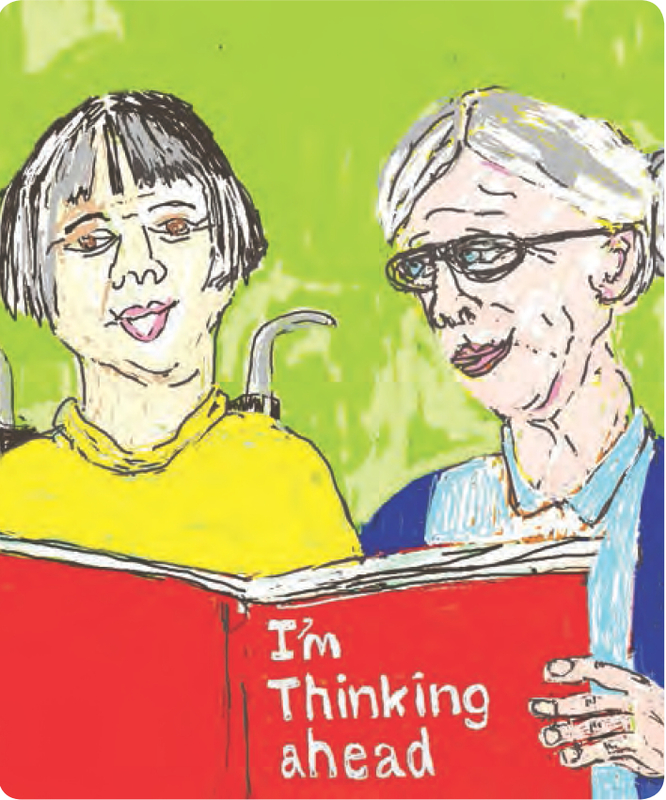 This handbook describes 20 activities to help people with learning disabilities to think and talk about the changes that may occur as they get older. The activities will be helpful to a variety of people including those working in housing and support, daytime activities and community teams.